Are you a WordPress blogger or affiliate marketer who uses Amazon’s affiliate program? Or maybe you’re looking specifically for the best Amazon link plugin. If so, read on. Because in this EasyAzon review I’m going to show you how you could be missing out on Amazon affiliate commissions, as well as spending too much time adding affiliate links. Add Amazon affiliate links to WordPress in the quickest way possible. Extend the time period Amazon gives you to earn a commission from 24 hours to 90 days. During Amazon Prime Day in 2016, Amazon sold 636 items per second? You certainly don’t need me to tell you that that’s an awful lot. It’s why so many of bloggers and affiliate marketers love Amazon. It’s not only a brand people trust, Amazon also shift products FAST. 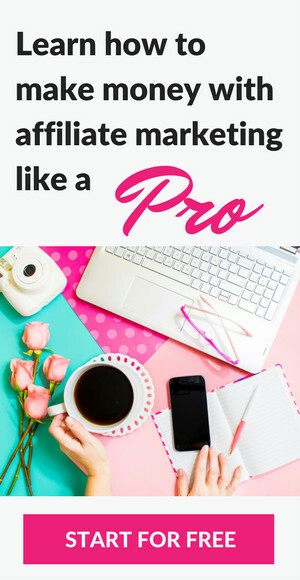 And this is the main reasons bloggers and affiliate marketers often turn to Amazon’s affiliate program first, when looking to make money from their blog. Have you ever faffed around copying and pasting links from Amazon into your WordPress blog and thought, heck, I’m going to lose my mind in a minute? This is soooooo mind numbingly boring, my eyes are going to turn into stalks. Well, what if I told you there was a plugin where you could easily add Amazon links from within your WordPress site in seconds? Yep, bypassing Amazon and it’s built in link generator completely. Well, there is and it’s called Easyazon 4. What exactly is the Easyazon 4 plugin? I’ve found EasyAzon 4 to be the quickest way to create Amazon affiliate links from within your WordPress editor. You can easily create text or image affiliate links direct to any product on Amazon, without manually creating links from within Amazon itself. I live in the UK and spent weeks agonising over whether I should direct my affiliate links on my first affiliate site to amazon.co.uk or amazon.com. In the end I opted for UK, then thought I’d made a mistake, so I decided to take the stupidly long winded approach of adding TWO links for each affiliate product – one for US customers and one for UK customers. It not only looked insanely clunky, it took freakin’ ages and also got confusing – so ultimately the process wasn’t helping my brand or my sales much. Big thumbs down. So if you’ve ever torn your hair out because you can’t find a way to automatically re-direct people to their country specific Amazon site, I’ve got some more good news. Easyazon has you covered for that too, with it’s automated link localiser. It was the Easyazon link localization that tripled my commission. Despite living in the UK it turned out my US sales were way more lucrative. How does the EasyAzon 4 link localiser work? By taking your Amazon affiliate link and displaying a link based on the actual locale of your visitor. Let’s imagine you have a blog that offers rather persuasively good reviews on the latest drones. A chap in Australia has found your blog on Google and is drooling over a newly released drone complete with camera and gps live view. It’s got a hefty price tag and would bring in a nice chunk of commission. He clicks through to Amazon with the intention of buying it whilst his wife is in the bathroom (his wife is sneakily buying her own drone via the iPad, whilst pretending to be on the toilet). Because your blog sends him (and her!) to Amazon US. Which isn’t much good when you’re in Melbourne. So the commission is lost. Darn it. But with EasyAzon, you could have automatically redirected your customers to Amazon Australia and nabbed the commission (both of them!). From the screenshot, you can see that Easyazon has identified you want to add an affiliate link related to drones. So it’s already found a list of drone related products on Amazon for you (and ALL from within your WordPress editor). All you need to do, now, is select a text or image link, enable link localisation and Easyazon will automatically send visitors from your blog to their country specific Amazon site, whenever they click on an affiliate link. And of course, you get the commission from any sales. Oh and just incase I’m making it sound at all complicated, it’s NOT! I’m not overly technical and I found the whole thing really simple to use. You can find out more about EasyAzon here. So, in practice EasyAzon 4 means you have the capacity to earn commission from sales in any country where Amazon has an affiliate program. That means the US, UK, Canada, Australia, France, Germany, Spain, China and Japan (plus many more). All you need to do is sign up for the country specific Amazon affiliate program (free to join) and check a box in the Easyazon settings to enable link localisation. You’re then all set to profit from international traffic. Not sure where your blog traffic is coming from? If you’re serious about affiliate income, you should be. Below is a screenshot of my blog traffic by country for a certain time period. Despite being in the UK, this report clearly shows that my blog traffic is hugely US specific. So if I was merrily sending all my US visitors to Amazon UK, it’s not only a bad user experience for the visitor, it’s wasted traffic and lost commission for me (frowny face). So I spent a few minutes joining the above country specific programs, switched on link localiser in EasyAzon 4 and EasyAzon 4 did the rest. Visitors were then automatically directed to their country specific Amazon site, whenever they clicked on an affiliate link, and I received a huge commission boost. If you’re not using Google Analytics, I suggest you join up straight away. It’s free, easy to setup and will offer you a tonne of essential information about your WordPress site. There’s a good How to Install Google Analytics in WordPress for Beginners tutorial here. Then, once you’re all setup, go to Audience > Overview Report and this will tell you where your blog traffic is coming from. Does the EasyAzon link plugin do anything else? The product feature popup enables you to show your visitors a product info popup box appear whenever they hover over an affiliate link. This is a super nifty feature and allows you to automatically add a product to a customer’s Amazon shopping cart, when they click on an affiliate link from within your site. Because the standard Amazon affiliate link gives you 24 hours for a customer to make a purchase, in order for you to earn a commission. Sometimes, though, people don’t make the actual purchase within that 24 hour time frame, especially with high priced items, where they may mull the item over for a few days before they actually buy it. However, if an item is actually added to a customer’s shopping cart, this 24 hours is extended to 89 days. In practice, what this means, is that you have an extra 89 days to bag a commission. Pretty good, right? Is EasyAzon easy to install? Yep. There are some steps you need to take to set it up – but these are extremely well documented in easy to follow, (quick) setup videos. They explain the setup much better than I could – follow them and you can’t go far wrong. How much does EasyAzon cost? EasyAzon 4 (the Pro version) is currently $47 for use on unlimited personal websites. This is ONE off cost (not an annual subscription) and I made the fee back (and more) in increased commissions in not time. Note: There IS a free plugin but it doesn’t have link localisation or the other added bits. You can get EasyAzon 4 here (you’ll also get a FREE Bonus which teaches you some key strategies to setting up an affiliate site and making money with the Amazon Affiliate program. EasyAzon is an Amazon affiliate WordPress plugin that allows you to easily add Amazon links from within your WordPress editor in seconds. EasyAzon offers a link localisation feature, which directs people to their country specific Amazon site – a HUGE commission booster. EasyAzon allows you to extend the time period you have to make a commission from 25 hours to 90 days. If you’re an affiliate on Amazon and have a WordPress site, in a word – YES. I highly rate it and use it on multiple sites. Find out more about the EasyAzon Amazon Link Plugin here. Previous Post: « Wealthy Affiliate Review: Best Affiliate Marketing Training For Beginners? I purchased the plugin a few months ago as I heard that it was quite useful. I have installed it but to be honest, I don’t think I really understood how it works. Your explanation of How it works has made it easier for me to understand. Like you, I’m in the UK but my readership is mostly in the US. I would love to have a little chat about one aspect I’m not very clear on. Hope you can help. If you’d email me I’d be so grateful. Thanks for sharing and making things easier to understand. Hi Joleisa – I’ll drop you an email.